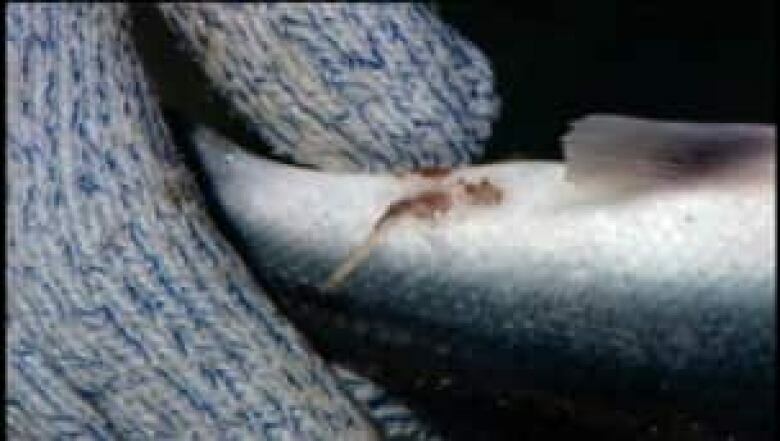 An email exchange between employees of Northern Harvest Sea Farms and New Brunswick environment officials reveals the tensions at play last summer and fall during sea lice outbreaks in the Bay of Fundy. The documents — obtained by CBC News through a right-to-information request — surround attempts by the salmon aquaculture company to apply pesticides to its salmon cages in Campobello Island's Head Harbour. Pesticides can be fatal to lobster, and the salmon farm is near lobster-holding facilities maintained by local fishermen. In May the company pleaded guilty to violating the provincial Pesticides Control Act when it went ahead and used a pesticide at the site illegally. 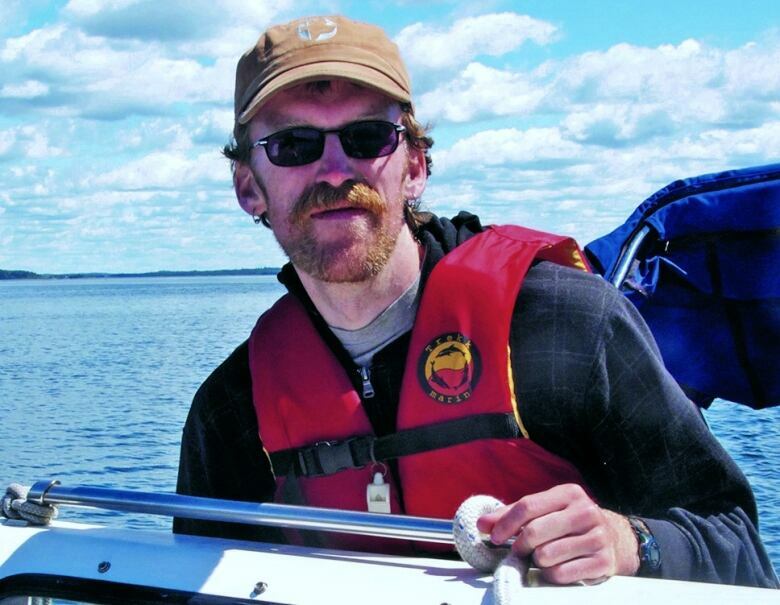 The email exchange calls into question the assertions in court — by both Crown and defence — that the company "self-reported" the incident to the New Brunswick Environment Department. It also puts in doubt statements in court that the company applied to the province for pre-approval to put a pesticide in the water at the Head Harbour salmon site. While Northern Harvest has a permit to use pesticides on its farm sites, it is required by law to seek pre-approval each time it does so. This allows provincial environment officials to ensure, among other things, that no lobsters are being held nearby. Northern Harvest wanted to apply Salmosan 50WP. It's one of two pesticides approved for controlling sea lice on the East Coast, although the federal Fisheries Department website acknowledges concerns about the impact on nearby lobster. Dozens of times in the email exchanges with Northern Harvest, New Brunswick officials warn the company of the dangers to the lobster fishery. "No application of Salmosan 50WP can be conducted for all marine aquaculture sites located within one kilometre of active lobster holding areas." The email exchanges show the company gave notice July 20, 2017, that it planned to apply pesticides to a nearby salmon aquaculture site without mentioning plans to treat another site inside the exclusion zone at Head Harbour. Six days later company employees began to apply the chemicals at both salmon sites even though one was within a kilometre of lobster facilities. It is not clear how information about a potential offence reached provincial officials. But Matthew Abbott, Fundy baykeeper for the Conservation Council of New Brunswick, said Campobello Island fishermen could see something was going on at the Northern Harvest cage site. "I was hearing from fishermen worried about treatments so close to lobster pounds. And I knew they were engaging the province and others to try and figure out what was going on." On Sept. 14, 2017, engineer Fiona Bragdon of the aquaculture unit of the Department of Environment, made a formal request for the company's records of pesticide use at all its cage sites that year, citing a condition in the company's pesticide permit that requires the information be kept and turned over on request. She gave the company two weeks to produce the information. 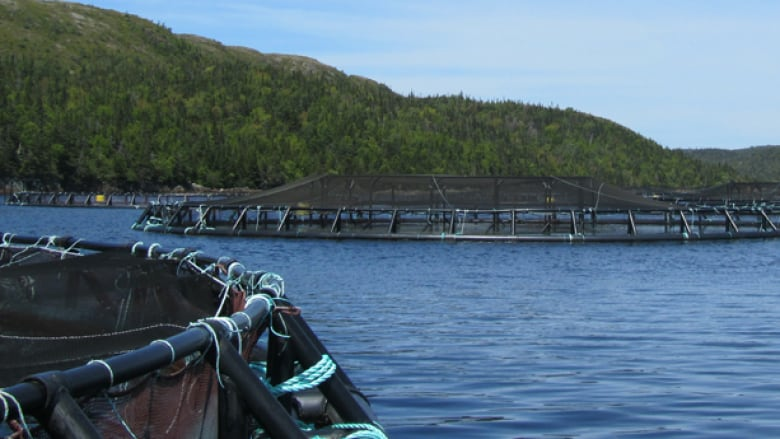 On Sept. 27, Bragdon sent a second email requesting further information, specifically about volumes of the pesticide and dates on which it was used at Northern Harvest's two salmon cage sites in Head Harbour. Twenty-nine minutes later the information was in her inbox. It shows the company put 7.5 kilograms of Salmosan 50WP — without approval — in the cages closest to the lobster- holding facilities over a three-day period beginning July 26, 2017. The incident was described in court by Crown prosecutor Christopher Titus as "probably a bit of a business decision." Large numbers of sea lice can be fatal to caged salmon, and the court heard the fish at the Head Harbour site would be worth an estimated $1.5 million when they reached market size. Judge Kelly Winchester specifically requested clarification on the issue of self-reporting before issuing her sentence. "So the company in and of itself reported it?" Winchester asked. "Yes," responded prosecutor Christopher Titus. On the question of pre-approval the court heard Northern Harvest applied to use the pesticide at the Head Harbour site "on or about July 18th." There's no record of that in the email exchanges. Spokespeople for the Department of Environment and Local Government have confirmed to CBC there is an application from Northern Harvest for pre-approval for another farm site on that date, but nothing for the location where the incident occurred. The sentence, a $12,000 fine jointly recommended by Crown and defence, was deemed a "slap on the wrist" by the Fundy North Fishermen's Association, the group representing Campobello fishermen. The maximum fine for the offence is $50,000. Abbott said he is happy with the "diligence" shown by provincial staff pursuing this case but said there is a need for greater enforcement and oversight over companies such as Northern Harvest. "They really put themselves before all others in this case," said Abbott. "They put their own interests well above that of their neighbours in the lobster fishery or others who work on the water." The executive director of the Fundy North Fishermen's Association, which represents Campobello Island Fishermen, said salmon farms have no place in Head Harbour because sea lice outbreaks are inevitable. "It just puts our industry at risk, it's all very predictable," Recchia said. 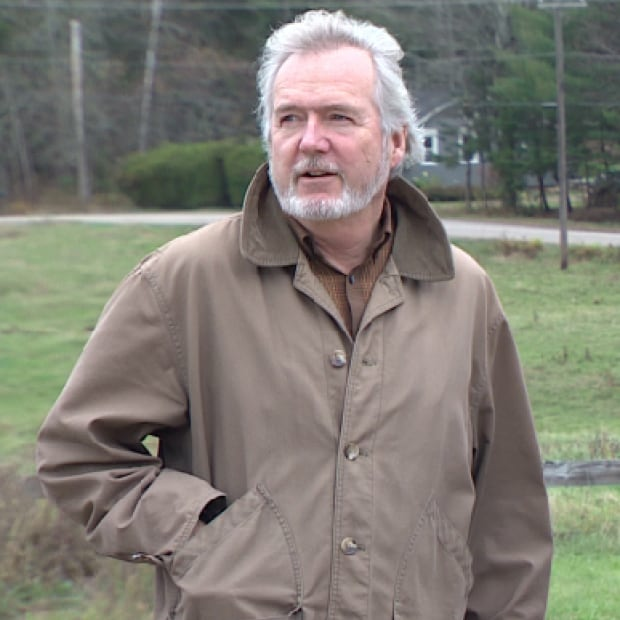 "I don't think the province has done their due diligence to protect our industry." Officials from Northern Harvest did not respond to a request for comment.